But Gremlins 2 has also inspired a great deal of academic thought. At least, that’s the case over at the Institute For Gremlins 2 Studies, a very real and actual institute that seems to be currently confined to a single Twitter account. The directors of the institute spend their days examining Gremlins 2 as a cultural artifact and mining it for insights into postmodern philosophy, gender studies, and the Situationist theory of the spectacle. They also workshop ideas for fun new Gremlin concepts. Recently, the Institute’s anonymous founder sat down for an interview with Mel to discuss their process of over-intellectualizing this very silly movie. 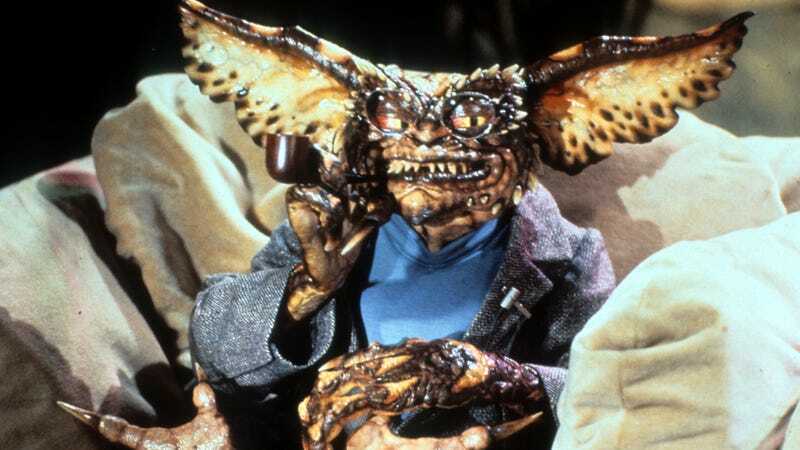 “I think that Gremlins 2 resonates so strongly because the contemporary viewer can identify with the characters, who find themselves living in an over-the-top parody of past events,” said the founder, referring the stark contrast between the by-the-numbers horror of the first Gremlins and the balls-to-the-wall lunacy of the sequel. The founder also discussed how the Gremlins’ ability to reproduce asexually only highlights the fact that gender is performative, a concept well-explored by queer theorists like Judith Butler. Of course, Gremlins 2 sees the introduction of the sole exception to this genderless existence, the aggressively female Greta Gremlin. So, if you’ve always thought your favorite late-80s horror comedy could use a bit more of Michel Foucault’s biopolitical philosophy, the Institute has got you covered. Read the full interview here, which includes the only existing Brechtian reading of a Hulk Hogan cameo.